Robin stumbled, and Jake reached to steady her. An arrow ripped through the flesh of his thigh, scorching a trail of lightning through his skin. He cried out in mingled pain and surprise as his leg folded under him. Robin stopped and turned, dropping to kneel beside him. He looked up into her face. She was frightened, understandably; but her concern for him outweighed any other emotion in her expression. “Leave me,” he panted, grasping the shaft of the arrow and breaking it off close to the skin. Cheyenne markings. The determination in her tone brooked no disagreement. Besides, there was no time for it. Jake forced himself to struggle up and they started for the riverbank once more. Another shot came from behind them, but they’d just managed to enter the outer fringe of trees, the recesses of the woods offering welcome shelter. Robin’s eyes filled with anxiety. “I’m okay,” he reassured her. 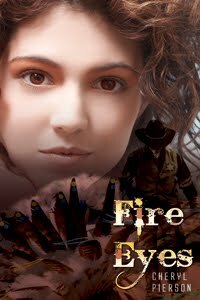 “Let’s just get safe.” The pain had become a constant throb of fire with each step, the embedded arrowhead moving against flesh. Jake cast a glance behind him. There was no movement. Their attackers must have decided that following them into the woods was not the most prudent thing to do. Their steps slowed as they made their way toward the mouth of the cave. Ahead, across the river, the entrance beckoned, partially hidden behind a wall of scrubby brush. Jake had to get off his leg. The bleeding was bad, and the pain was not going to let up—not as long as he was walking. Robin reached to take the rifle from him, and he gave it to her with a reluctant sigh. “Don’t argue,” he told her sharply. “If you get shot, how will you get back to your time?” He didn’t wait for an answer, though she looked as if she badly wanted to say something. She started ahead of him, his hand at her back, his gait made awkward by the hole in his thigh and the embedded length of the arrow. The pain was more excruciating with each step he took, and twice, he almost went to his knees, barely able to regain his balance at the last moment. The river was low here, barely flowing across the tops of their boots, but the footing was rocky and slippery. Robin was careful to hold the rifle aloft as she slogged through the running water. Jake kept close to her back, cursing his own earlier lack of awareness. But how could he have been aware of anything other than the kiss he shared with Robin? Just thinking of it now, and the emotions that moment had awakened in him, eased the pain in his leg a bit. At least, it gave him something good to think about. How many times have your heard the term dime novel? Do you think of the frontier west, or of detective stories? 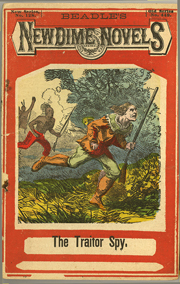 Dime novel, though it has a specific meaning, has also become a catch-all term for several different (but related) forms of late 19th-century and early 20th-century U.S. popular fiction, including "true" dime novels, story papers, five- and ten-cent weekly libraries, "thick book" reprints, and sometimes even early pulp magazines. The term was being used as late as 1940, in the short-lived pulp Western Dime Novels. Dime novels are, at least in spirit, the antecedent of today’s mass market paperbacks, comic books, and even television shows and movies based on the dime novel genres. Dime novels provided easily understood entertainment for anyone who could read, and at an affordable price. A dime would have been a sizable investment in the mid 19th century, but a novel can be re-read many times and/or traded with another family. In the modern age, dime novel has become a term to describe any quickly written, lurid potboiler and as such is generally used as a derisive term to describe a sensationalized yet superficial piece of written work. 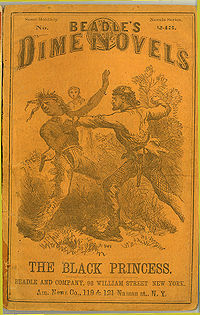 Generally, historians agree that the term dime novel originated with the first book in Beadle & Adam's Beadle’s Dime Novels series, MALEASKA, THE INDIAN WIFE OF THE WHITE HUNTER, by Ann S. Stephens, dated June 9, 1860. Aha! A female author breaking in a new tradition! The novel was essentially a reprint of Stephens's earlier serial that appeared in the Ladies' Companion Magazine in February, March, and April 1839. The dime novels varied in size, even within this first Beadle series, but were roughly 6.5 by 4.25 inches, with 100 pages. The first 28 were published without a cover illustration, in a salmon colored paper wrapper, but a woodblock print was added with issue 29, and reprints of the first 28 had an illustration added to the cover. Of course, the books were priced at ten cents. This series ran for 321 issues, and established almost all the conventions of the genre, from the lurid and outlandish story to the melodramatic double titling that was used right up to the very end in the 1920s. Most of the stories were frontier tales (Works for me!) reprinted from the vast backlog of serials in the story papers and other sources, as well as many originals. As the popularity of dime novels increased, original stories came to be the norm. The books were themselves reprinted many times, sometimes with different covers, and the stories were often further reprinted in different series, and by different publishers. 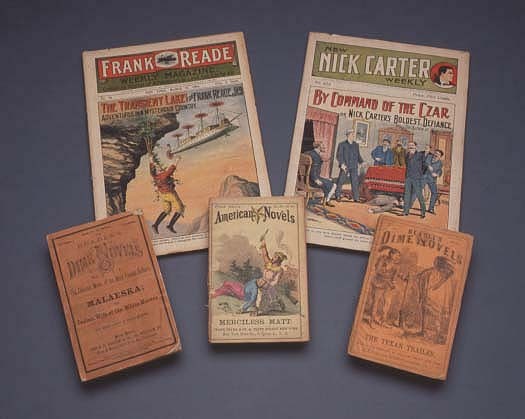 Beadle’s Dime Novels were immediately popular among young, working-class audiences, owing to an increased literacy rate around the time of the American Civil War. By the War’s end, there were numerous competitors like George Munro and Robert DeWitt crowding the field, distinguishing their product only by title and the color choice of the paper wrappers. As a whole, the quality of the fiction was derided by higher brow critics and the term dime novel quickly came to represent any form of cheap, sensational fiction, rather than the specific format. The New Dime Novel Series introduced color covers, but reprinted stories from the original series. In 1874, Beadle & Adams, through the added novelty of color to the covers (see photo in first paragraph above), their New Dime Novels series replaced the flagship title. The New Dime Novels were issued with a dual numbering system on the cover, one continuing the numbering from the first series, and the second and more prominent one indicating the number within the current series, i.e., the first issue was numbered 1. The stories were largely reprints from the first series. Like its predecessor, Beadle’s New Dime Novels ran for 321 issues, until 1885. As noted, much of the material for the dime novels came from the story papers, which were weekly, eight page newspaper-like publications, varying in size from tabloid to a full fledged newspaper format, and usually costing five or six cents. They started in the mid 1850’s and were immensely popular, some titles running for over fifty years on a weekly schedule. They are perhaps best described as the television of their day, containing a variety of serial stories and articles, with something aimed at each members of the family, and often illustrated profusely with woodcut illustrations. Popular story papers included The Saturday Journal, Young Men of America, Golden Weekly, Golden Hours, Good News, Happy Days. Although the larger part of the stories stood alone, in the late 1880s series characters began to appear and quickly grew in popularity. The original Frank Reade stories first appeared in Boys of New York. 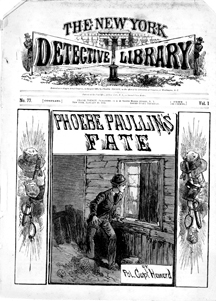 Old Sleuth, appearing in The Fireside Companion story paper beginning in 1872, was the first dime novel detective and began the trend away from the western and frontier stories that dominated the story papers and dime novels up to that time. He was the first character to use the word "sleuth" to denote a detective, the word’s original definition being that of a bloodhound trained to track. 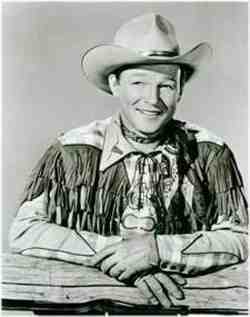 And he also is responsible for the popularity of the use of the word "old" in the names of competing dime novel detectives, such as Old Cap Collier, Old Broadbrim, Old King Brady, Old Lightning, Old Ferret and many, many others. Nick Carter first appeared in 1886 in The New York Weekly. All three characters would graduate to their own ten-cent weekly titles within a few years. In 1873, the house of Beadle & Adams had introduced a new ten-cent format, 9 by 13.25 inches, with only 32 pages and a black and white illustrated cover, with the title New and Old Friends. It was not a success, but the format was so much cheaper to produce that they tried again in 1877. The Fireside Library, the first reprinted English love stories, and Frank Starr’s New York Library, which contained hardier material. Both titles caught on. Publishers were no less eager to follow a new trend then than now. Soon the newsstands were flooded by ten-cent weekly "libraries". Each issue tended to feature a single story, as opposed to the story papers, and many of them were devoted to single characters. Frontier stories, evolving into westerns (Yay! ), were still popular, but the new vogue tended to urban crime stories. 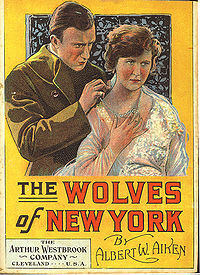 One of the most successful titles, Frank Tousey’s New York Detective Library eventually came to alternate stories of the James Gang with stories of Old King Brady, detective, and in a rare occurrence in the dime novel world, there were several stories which featured them both, with Old King Brady doggedly on the trail of the vicious gang. As now, the competition was fierce, and publishers were always looking for an edge. Once again, color came into the fray when Frank Tousey introduced a weekly with brightly colored covers in 1896. Street & Smith countered by issuing a smaller format weekly with muted colors Such titles as New Nick Carter Weekly (continuing the original black and white Nick Carter Library), Tip-Top Weekly (introducing Frank Merriwell) and others were 7 x 10 with thirty-two pages of story, but the 8.5 x 11 Tousey format carried the day and Street & Smith, soon followed suit. The price was also dropped to five cents, making the magazines more accessible to children. This would be the last major permutation of the product before it evolved into pulp magazines. Ironically, for many years it has been the nickel weeklies that most people refer to when using the term "dime novel." The nickel weeklies proved very popular, and their numbers grew quickly. Frank Tousey and Street & Smith dominated the field. Tousey had his "big six": Work and Win (featuring Fred Fearnot, a serious rival to the soon to be popular Frank Merriwell) Secret Service, Pluck and Luck, Wild West Weekly, Fame and Fortune, and The Liberty Boys of ’76, all of which ran over a thousand weekly issues apiece. Street & Smith had New Nick Carter Weekly, Tip Top Weekly, Buffalo Bill Stories, Jesse James Stories, Brave & Bold Weekly and many others. The Tousey stories were on the whole the more lurid and sensational of the two. And wasn't there a series with a hero named Jack Armstrong? Perhaps the most confusing of all the various formats that are lumped together under the term dime novel are the so-called "thick-book" series, largely published by Street & Smith, J. S. Ogilvie and Arthur Westbrook. These books were published in series, ran roughly 150-200 pages, and were 4.75 by 7 inches, often with color covers on a higher grade stock. They reprinted multiple stories from the five- and ten-cent weeklies, often slightly rewritten to tie the material together. I have one of the thick book novels handed down in my family. Unfortunately, it’s in tatters now, but I’ve saved it anyway. I wish I knew more about the history of the specific book I have. All dime novel publishers were canny about repurposing material, but Street & Smith made it more of an art form. Hmmm, does this remind you of one or two of today's publishers? The dime novel publishers developed the practice of publishing four consecutive, related tales of, for example, Nick Carter, in the weekly magazine, then combining the four stories into one edition of the related thick book series, in this instance, the New Magnet Library. The Frank Merriwell stories appeared in the Medal, New Medal and Merriwell Libraries, Buffalo Bill in the Buffalo Bill Library and Far West Library, and so on. *Note: What confuses many dealers and new collectors today is that though the thick books were still in print as late as the 1930s, they carry the original copyright date of the story, often as early as the late nineteenth century, leading some to assume they have original dime novels when the books are only distantly related. In 1896, Frank Munsey had converted his juvenile magazine, The Argosy, into a fiction magazine for adults and the first pulp. By the turn of the century, new high-speed printing techniques combined with the cheaper pulp paper allowed him to drop the price from twenty five cents to ten cents, and the magazine really took off. In 1910 Street and Smith converted two of their nickel weeklies, New Tip Top Weekly and Top Notch Magazine, into pulps; in 1915, Nick Carter Stories, itself a replacement for the New Nick Carter Weekly, morphed into Detective Story Magazine, and in 1919, New Buffalo Bill Weekly became Western Story Magazine. Harry Wolff, the successor in interest to the Frank Tousey titles, continued to reprint many of them up into the mid 1920s, most notably Secret Service, Pluck and Luck, Fame and Fortune, and Wild West Weekly. The latter two were purchased by Street & Smith in 1926 and converted into pulp magazines the following year. That effectively ended the reign of the dime novel. Dime novels endeared western lore to the nation, even spreading throughout the world. Read Julie Garwood’s PRINCE CHARMING (one of my all-time favorite novels) for a look at how they spread to the UK and a young English woman took them to heart. Who knew her fascination would prepare her for the ordeal to come when she must save her young niece and nephew? People followed the exploits of legendary heroes in the West. Talk about literary license? The fact that most of the tales were pure drivel didn’t matter a whit to their eager audience. The lure was cast, and many took the bait and headed to America’s West. But what began my personal love of the West? In the evenings, my dad often told stories of his family coming to Texas after the Civil War. I couldn’t hear enough of those tales. Even after I’d memorized them, I urged him to retell each one. And guess who sneaked peaks at his detective magazines when he was at work? ﻿﻿﻿ As an adult, I discovered Louis L’Amour. 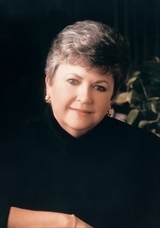 Don’t hate me, but you can have Kathleen Woodiwiss’ books. You gasp, and I hope you’re not gathering tar and feathers! 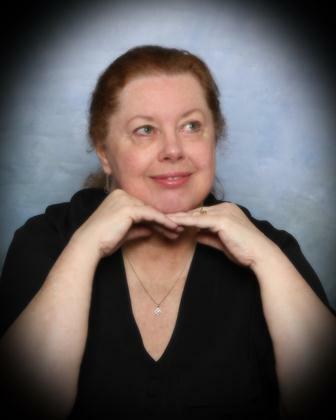 I met her once at a Houston writer’s conference and I readily admit she was a lovely person and we owe her a huge debt for popularizing historical romance novels. 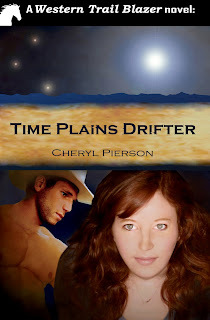 As well, I love the books of many other western romance authors, and especially the writers who are members of this blog! ﻿ However, Louis L’Amour is my author hero--as you learned if you read my post a few months ago. I’ve read each of his books at least twice, and several of them too many times to count. FALLON is my personal favorite: what woman can resist a man who thinks he’s bad but is actually a good, hard working, clever man protective of others? 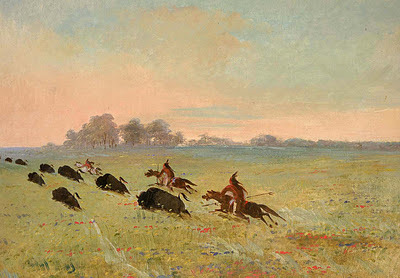 ﻿﻿﻿ I usually choose to write about 1870-1890 and the time of the Texas cattle drives. Yeehaw! Yes, I also write contemporary cowboys, but none are more appealing to me than those of the late 19th century. So many things fascinate me about this time period. Would I have wanted to live then instead of now? Are you crazy? I like my current creature comforts, thank you, but I love reading and writing about that earlier time. In that time period, the Civil War and Reconstruction were over, yet law and order was far from established. Men--and women--were often isolated and had to defend themselves and their families. If there was an area lawman, he was often too far away to offer immediate help. When the Civil War was over, men returned home (if they still had one). In Texas and a few other states, many unbranded cattle had bred during the war and ran wild. An industrious man could gather these and place his own brand on them, then drive them to market in Kansas. According to T. H. Fehrenback in his book LONE STAR: A HISTORY OF TEXAS AND THE TEXANS, cattle sold for two dollars a head in Texas in 1875, but brought ten dollars a head in Kansas. Since cowboys made the same wage per month and received the same food regardless of where they rode, it cost no more for a rancher to have his ranch hands drive cattle to market. Fortunes were built during this time! 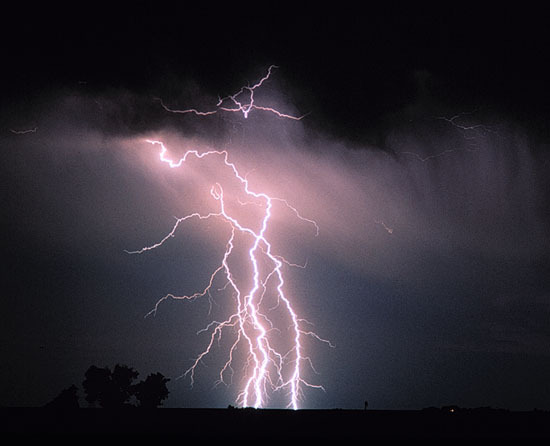 Then there were the natural disasters: swollen rivers, lightning storms, and stampedes. Plus Texas cattle sometimes carried tick fever and threatened to infect cattle in other states. Cattlemen from the intervening areas crusaded to block Texas cattle from crossing into their area, and it’s no wonder, is it? The astonishing fact is that any cattle made it to market. ﻿ ﻿﻿ Yes, you say, but how can it be a romance when there were no women on cattle drives. You’re right, you’re so right. 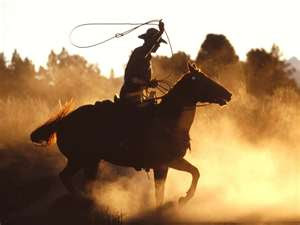 Cowboys are a superstitious lot, and they believed women on a drive brought bad luck. 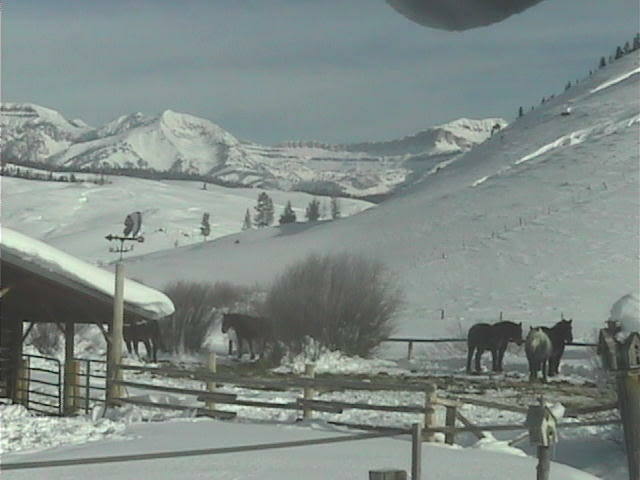 In that way, cattle drives are far from romantic. If you’ve read my book THE MOST UNSUITABLE WIFE (available for only 99 cents from Amazon Kindle), you learned that wives were not invited on a cattle drive. Definitely! No, it’s not the actual cattle drive that appeals to me, but the era. A young man with nothing could homestead land, gather unbranded cattle or buy a few head, and create a small ranch. With hard work and perseverance, he could expand. Of course, then he’d need a wife to share his life. They’d face trouble--it always came--and stand side by side to triumph. Well, that’s the way it happens in my novels. 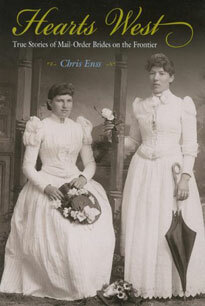 Women from areas where most young men had died in the Civil War didn’t have to remain spinsters. They could travel West and marry, sometimes via mail-order arrangements. 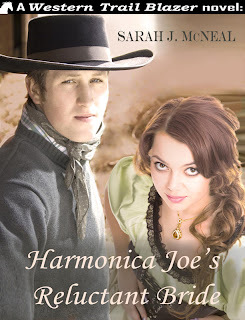 How many mail-order western romances have your read? I’ve read too many to count, but I still love them. 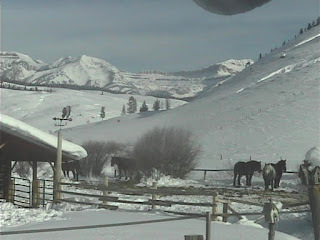 There were wagon trains heading West (love those wagon train romances, too! ), then stages and locomotives. By traveling West, a single woman had an opportunity for a family of her own. I think I’d have risked it, wouldn’t you? 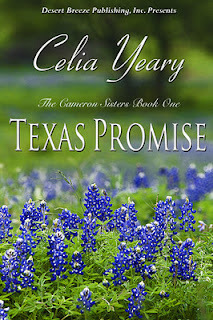 Hand me that book by Celia Yeary, would you? Yes, the one that was a finalist for The Romance Reviews Best Books of 2010, TEXAS TRUE. Sure I've read it, but I reread favorites, don't you? I’m in the mood to read more about romance under western skies. 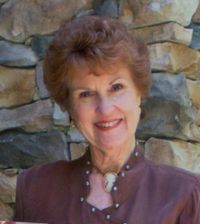 If you share that mood, why not try a book by one of the Sweethearts of the West authors? Hello, Lauri Robinson here, a new Sweethhearts of the West member. I write and read, and read, and read, historical westerns. That’s not to say I don’t read other genres, but put a pair of cowboy boots on the hero and I’m captured, lock, stock, and barrel until the last page even if it means I don’t shut off the light until the wee hours of the morning. This is me—the snow princess at my granddaughter’s princess birthday party last year. 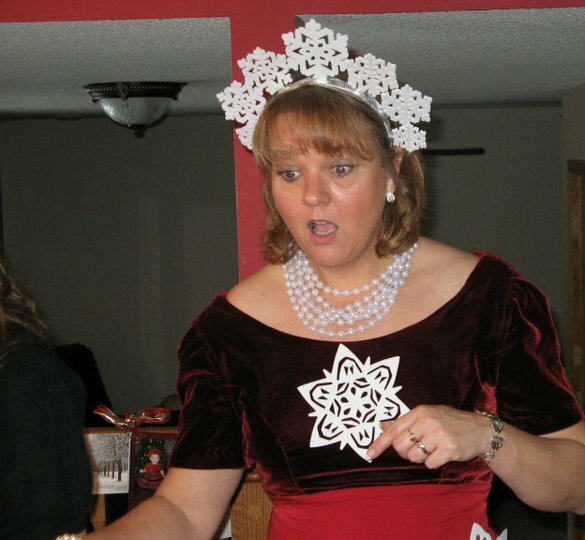 Dressing up was NOT optional, and I believe this moment was captured as the punch bowl teetered and well,that's another story. 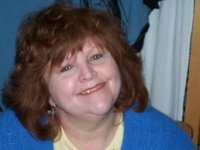 I write for Harlequin, Mills and Boon and The Wild Rose Press, and will have five books released in 2012 starting in January, but I’ll tell you more about them in another blog. Today it’s about Thanksgiving. As many of us were taught, the first Thanksgiving took place in the fall 1621. It was a three day feast of thanks hosted by the Pilgrims and a local tribe of Wampanoag. Intermittent days of thanks continued for the next hundred and fifty years, often celebrating an event, good harvest, or end of a time period, such as a drought or battle. In 1777, George Washington declared the last Thursday in November as a ‘national day of public thanksgiving and prayer’ which all thirteen colonies celebrated, particularly giving thanks for the new constitution of the newly formed nation. The next national day was declared in 1789, by then President George Washington. However, it still didn’t become a ‘yearly’ celebration, until 1863. History and controversy aside, for me, Thanksgiving is all about family. 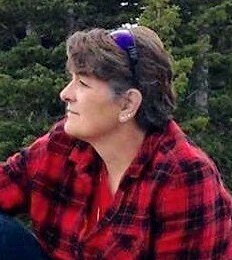 We lost a very integral part of our family when my mother passed away in June, and Thanksgiving without her and her coleslaw, sweet potatoes, beet pickles and pumpkin pies is going to be bittersweet. Happiness will abound as we gather together for it always does, and sadness will enter in as we miss those we’ve lost while reminiscing of past Thanksgivings as we always do. 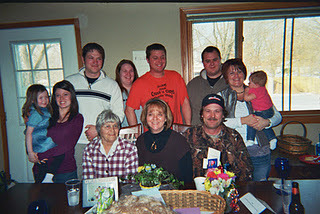 (This is hubby and me, my mother, our three sons, their wives and children (absent one sleeping baby and two step grandsons). Thankfulness for all the blessing we continually receive will also be abundant as we celebrate the day. If I live to be a hundred, nothing will ever replace the sweetness of the word “Grandma!” I am thankful for so much, every day of my life—for living in a wonderful country, for freedom, for my right to worship God, for all the obvious and not to be taken lightly things which include my family, home, community, friends, vocation, my publishers and their belief in me, and especially the people who read and find delight in my books. Thanks for sharing this wonderful life with me. My Thanksgiving wish is that each and every one of you has a blessed and beautiful holiday. 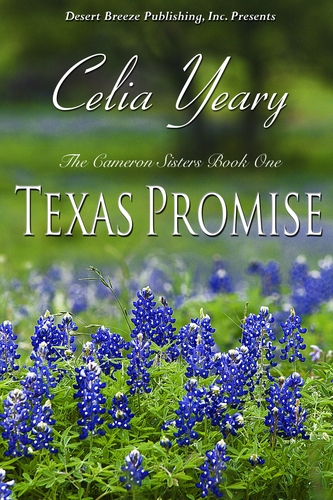 For many readers of romance, stories that take place in Texas are ever popular. 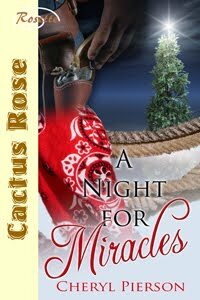 Fortunately for writers of romance, as well as for history, Texas is rich in true stories about people full of courage. The Texas Rangers not only protected law abiding citizens in times of peace from those who would prey on hard working folks, but Rangers also fought in the Civil War. Many brave, fearless men have served as Texas Rangers. 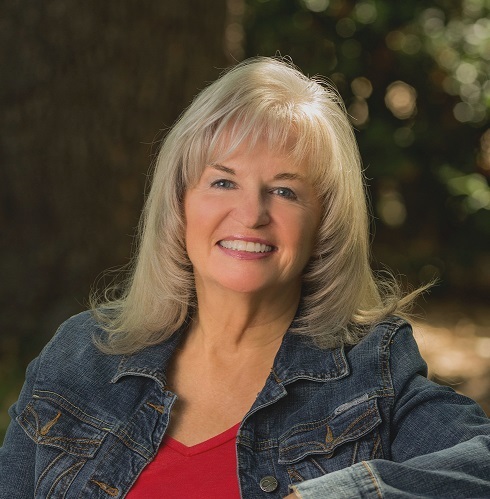 While taking part with five talented writers in the creation of romance stories about the Civil War for an anthology titled Northern Roses and Southern Belles, a story involving the Red River Campaign caught my attention. In discussing the Civil War battle with the other authors, I looked up the history at the Handbook of Texas Online web site. I read about the battle and one name in particular caught my attention, General Philip Noland Luckett. My great grandfather’s middle name was Luckett. I wondered if there could be a connection. I looked up Gen. Luckett’s name and found more information about him. He was born in Virginia around 1823, and he was educated to become a physician. In 1847 he moved to Texas and established his practice in Corpus Christi. What a coincidence. My great grandfather, Joseph Luckett Dwyer, was born in Corpus Christi in 1855 to Anna Croker Dwyer and Thomas A. Dwyer, who had a ranch, named Rancho Bonito, near Corpus Christi. I have a feeling that the doctor who delivered Joseph Luckett Dwyer was Dr. Philip Noland Luckett. Dr. Luckett served as surgeon of Capt. John S. Ford’s company of Texas Rangers through the late 1840s. January 28 through February 4, 1861, Dr. Luckett represented Nueces and Webb counties in the state Secession Convention. At the close of the convention, he was appointed one of three commissioners of public safety to work with Maj. Gen. David E. Twiggs for the surrender of federal property in San Antonio. One of the men he worked with on the committee was Samuel A. Maverick. My great great grandfather moved to San Antonio at some time in the 1800s and became a judge there. I wonder if he and Dr. Luckett were neighbors? In the fall of 1861 Dr. Luckett was elected colonel of the Third Texas Infantry, members of which were recruited in Austin and San Antonio. Luckett’s Third Infantry arrived in Galveston in July of 1863. Soon afterward Luckett was brevetted brigadier general. The unit saw no action until its assignment in April 1864 to Brig. Gen William R. Scurry’s brigade of Walker’s Texas Division. Luckett’s unit took part in the Red River campaign and the 1864 campaign in Arkansas which accomplished the repulse of Maj. Gen. Frederick Steele at the battle of Jenkin’s Ferry. Scurry was killed there, and Luckett took command of the brigade. Because of illness and detached duty, Luckett was kept from active duty for the rest of the war. After the defeat of the Confederacy Gen. Luckett was one of forty men who included Generals William Preston and Hamilton P. Bee, who accompanied Maj. Gen. John G. Walker to Mexico. When Luckett returned to Texas in 1865, he was arrested by federal officials and imprisoned at Fort Jackson, Louisiana. His health was ruined by his several months in prison. Following his release he stayed for a while in New Orleans and then joined relatives in Cincinnati, Ohio, where he died on May 21, 1869. My great grandfather Joseph Luckett Dwyer was given the flag of the Third Texas Infantry. I don’t know the story of how he came to have it. Possibly his father was a member of the Third Texas Infantry and kept the flag, or maybe one of his uncles. There were many Dwyers in San Antonio at that time who could have joined the Third Texas Infantry. I couldn’t find a complete list of the unit’s members, so I have no definite record. My great grandfather kept the flag, and in 1940 or 1941, an article in the El Paso Times newspaper contained a photo of him with some widows of soldiers who served in the Confederacy in Texas. In the photo which my mother kept in her photo album, my great grandfather is holding the flag of the Third Texas Infantry. A drawing of just such a flag can be seen at http://www.scv674.org/csaflags.htm under the heading of Western Theater, Trans-Mississippi Department. It’s described as a common flag with many slight variations. It has thirteen stars with a center star larger than the other stars. Joseph Dwyer’s flag has the same design with crossed strips of fabric sewn with one strip over the other crossing in the center of the flag. The stars were sewn on top of the strips that crossed. Joseph Dwyer was a generous man all his life, and he gave the flag to a women’s organization in Texas. Dr. Luckett was a fearless Texan, an ex Texas Ranger who became a general in the Civil War, a man my great great grandfather thought of as a good friend whose name he gave to his son, Joseph Luckett Dwyer, sheriff and rancher in Texas. are inspired by the braver y of the Texas Rangers. 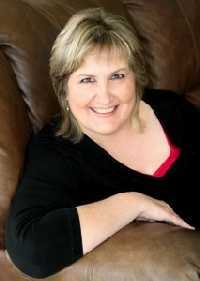 http://www.JeanmarieHamilton.com you can follow the links to my stories. Wishing you many good books to read! Back in 1969, I went on a road trip with my Nebraska friends to most of the northwest. We saw some gorgeous scenery and met some very fine and friendly folks along the way. Of all the states we visited, the one I fell in love with at first sight was Wyoming. The wide-open skies, rolling hills and majestic mountains spoke to my heart. The people were friendly but they were also people who knew how to keep a secret if asked to and would come to the aid of a friend in trouble, no questions asked. At least that was my impression of them. The state motto is “Equality”—and they mean it. Much to my surprise, Wyoming was the first state in the union to give its women the right to vote. The spirit of freedom and self-reliance is at the heart of the people who reside in this beautiful state. When I needed to choose a western state for Harmonica Joe’s Reluctant Bride, Wyoming was my immediate choice. The story of Harmonica Joe’s Reluctant Bride takes place in 1910 when the Industrial Age had just begun to blossom. Joe Wilding left his home in Virginia to settle into the community of hard working, faithful, mind-your-own-business town folk of Hazard (fictional name), Wyoming. He had his secrets and heartaches and tried to drown them in liquor and gambling until time folded over and brought Lola into his life as a very unexpected bride. Joe didn’t have much of a chance at a quiet existence after that. Lola sensed there was a mystery to Joe Wilding, something he was not willing to share with anyone, especially someone he barely knew like her. Curiosity crept into her veins and spread like wildfire. Nothing enticed her more than a good mystery. “It sounds like pots clanging together.” There, she got a good lick in for the insult back in the barn. His face was unmoved and somehow she felt just a little guilty for saying the smart remark since he seemed in a pensive mood. “Why do you carry the harmonica with you all the time if you only know one tune? You don’t even play that one very well.” A little stab of conscience needled at her chest, but Lola ignored it. Why was she being so mean spirited toward this man? He had only hurt her pride some. She shouldn’t make such a big deal out of it. He wiped the harmonica on his shirt before he put it back in his pocket. With a narrow glance toward Lola, he took a deep breath and answered. “It’s not my harmonica. It belonged to my brother. He died. I killed him. Now will you just let me have some silence for a while?” The words seemed to grind up from the bottom of his throat as if he were choking on a bale of tumbleweed. Labels: Western Historical Romanc. Harmonica. Wyoming. 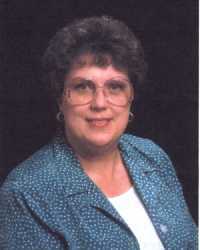 Sarah J. McNeal.